Summary:"Whatever you do, you will always end up here. Whatever choices you make, whatever details you alter, we will always end up... here." 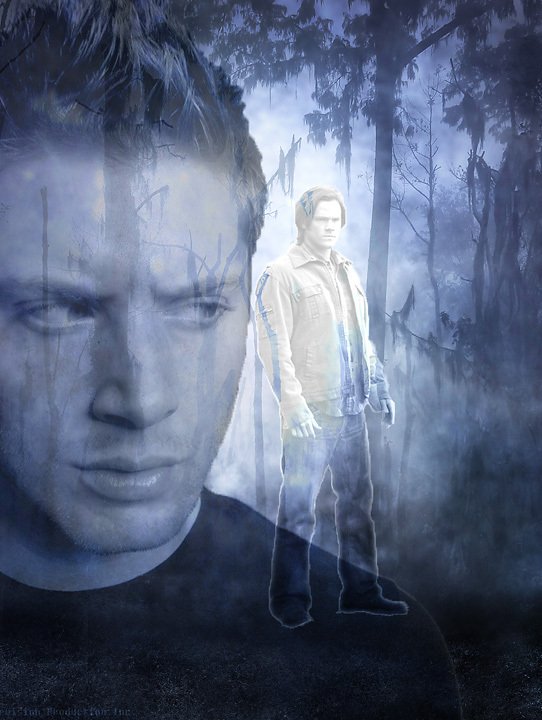 Sam makes the sacrifice, fate is changed and Dean bears the consequences. 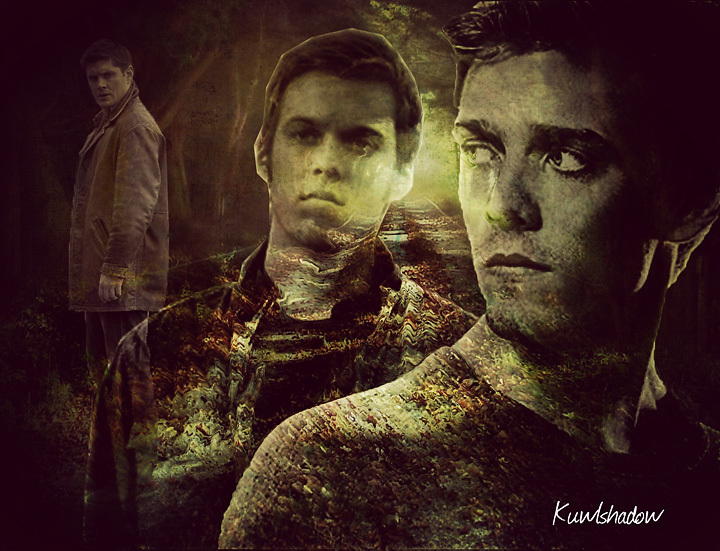 He dreams of a life he never lived, of dangerous hunts he never went on, black eyed demons he never believed in and a brother he never got the chance to meet but loves with his whole being. And at the end of the world, watching Michael and Lucifer burn both sky and ground in their last match, Dean falls, Castiel's ashen remains slipping through his fingers. Artist Notes: This is my second year participating in the spn_j2_bigbang. It was the first big bang that started it all for me that led me into participating in a large number of challenges afterwards. So when this rolled around again I just had to do it. I claimed two stories and this is the second of the two to be posted. I enjoyed working with Akita_ino as she is a wonderful writer and a pleasent person. 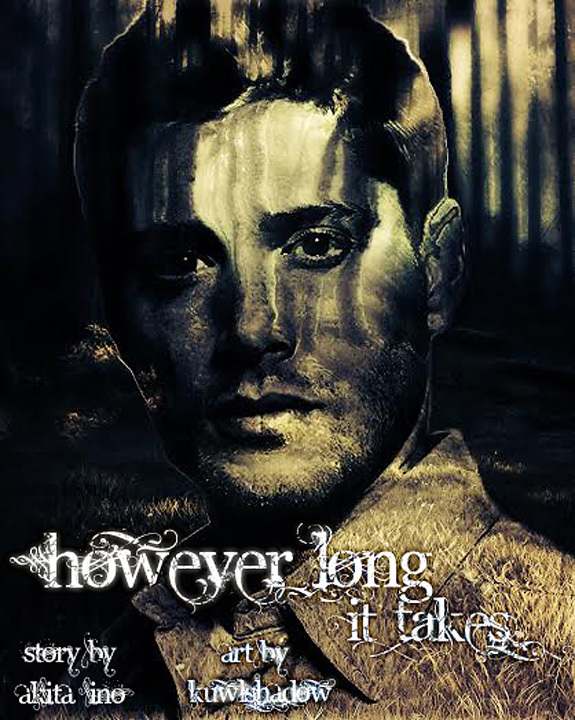 She wrote an awesome Dean centered story that also includes Adam and a new character, Adam's twin. This is definitely a unique twist to the Supernatural storyline. Thanks for being such an awesome writer and person and thanks to the mod of this bigbang for this wonderful opportunity!! I'm glad you like my illustrations. :D I enjoy creating them and gives me something to do than just mindlessly play games.